Please take a moment to read through the rules here. Q: What do you “hunt”? A: (Gauteng): We lay the line using pilchards in tomato sauce. Q: Where do you hunt? A: Gauteng hunts in Erasmia, near Zwartkops. Western Cape hunts on a wine Farm in Klapmuts, KZN alternates between Howick and the South Coast. For more details on all venues, click here. Q: When do you hunt? A: All provinces only hunt during the winter months – each province sets there own dates, but we all usually start in about April, and carry on until about September. It is just too hot for the dogs to run such distances in the Summer. Some of the provinces do organise social events in Summer – either get togethers at dog friendly parks, or beach walks. The details are always posted on our home page, and often publicised on our Facebook Group. Q: I have a beagle puppy, can I bring him to the hunt? A: Pups are welcome to come and watch the hunt from about 3 months old. Beagles may only start running with the pack from 10 months old. Beagles will only score points from 12 months old. Read this article for more info on why younger dogs may not run. Q: We have a Jack Russel or Basset or Spaniel etc, may she come to the hunts too? 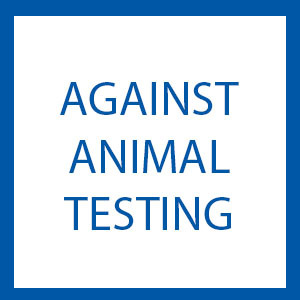 A: Unfortunately, our hunts are beagle exclusive events and your “wannabeagles” (as we lovingly call them!) need to stay at home on the mornings that we hunt. 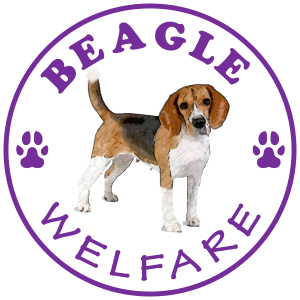 “Wannabeagles” are very welcome to join in the social days, either Walkhaven get togethers in Gauteng, or Beach Walks in KZN. Q: Is any special training needed? A: No! Beagles are pack animals and it is their instinct to stick together with the pack and follow a scent. As long as your beagle is well socialised, vaccinated and not on heat (females only of course!) they are most welcome to join in. Q: What if my beagle gets lost? A: We have never lost a beagle. Sometimes a beagle may get separated from the pack and go off on his own mission for a bit. We have a dedicated “search party” who splits up into the hills to find the beagle. More often than not, the beagle will make his way back to the area where we park our cars. IF your beagle does go off on his own, PLEASE alert one of the organisers asap. It is your responsibility to keep an eye on your dog, particularly if he is prone to dissappearing. The sooner we know who is “missing” the sooner we can find him! Q: What do I need to bring to a hunt? A: Your beagle/s. A collar and lead. A backpack with water and a bowl. A snack for yourself to nibble on. Wear comfortable walking shoes and old clothes. Sunscreen and a hat are always a good idea. You may also want to bring a drink and a snack for after the hunt. On mornings where we have a breakfast after the hunt, remember your own chairs and drinks. Also remember to pay your fees and bring a copy of your beagles’ up to date vaccination certificate! Q: How do I get a number and a bib for my beagle? A: Once you have attended 3 hunts, a number will be issued to you. 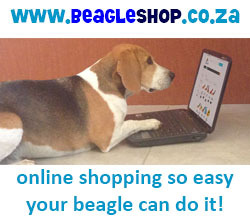 You can purchase a bib from the BeagleShop OR you may make your own. If you do make your own bib, please remember that the numbers have to be clearly visible and the bib should not restrict your beagle’s movement in any way. Q: Where can I find the rules ? A: Please see this link for the rules. Abiding by these rules makes the mornings more enjoyable for both the dogs and their people! The video below was filmed at a Gauteng Hunt in 2013 – and it shows a typical morning of hunting – from the early dark wakeup – to the beagles greeting each other when they arrive, scenting the dogs, the anticipation, the release, the “missing” dogs, the scores, and a breakfast afterwards! Thank you to Michele for the great footage and editing it all together!